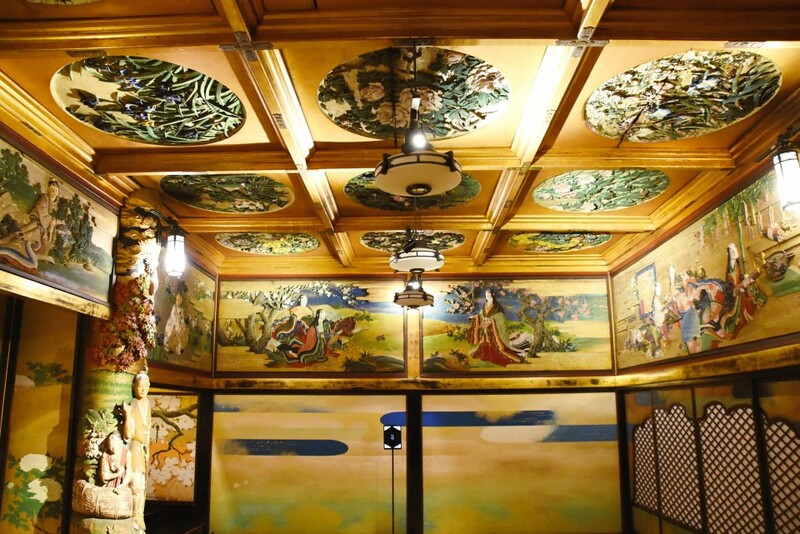 The historic Hotel Gajoen Tokyo held a preview of a special project to celebrate its 90th anniversary on Tuesday, which will see the hotel showcase its famous Hyakudan Kaidan to members of the public in its truest form. From Thursday, the luxury hotel in Tokyo’s Meguro ward will open its Hyakudan Kaidan exhibition “A Space Featuring Magnificent Japanese Art” affording members of the public the chance to see the famous “Hundred Stairs” as rarely seen before. While the symbolic staircase, a remnant of Gajoen’s original wooden construction from the 1930s, has been host to exhibitions in the past, organizers of the 90th anniversary project aim to highlight the charms of the staircase itself, together with its seven adjoining rooms, free of any temporary collections. Designated a Tangible Cultural Property of Tokyo in March 2009, the staircase has become known as a “treasure hall of the arts,” and together with the adjoining rooms features works of sculpture, handicrafts, and art from celebrated artists of the era such as Kiyokata Kaburaki and Araki Jippo, considered masters of Nihonga art, traditional Japanese paintings. Visitors to the hotel will be able to take in the length of the staircase, the alluring design of which is said to draw people further and further up -- a technique sometimes employed in traditional Japanese architecture, examples of which can often be seen in wooden ryokan-style lodgings. Despite the name “The Hundred Stairs” though, Hyakudan Kaidan comprises only 99 steps, one step having been purposefully removed as a sign of modesty. The new exhibition is the latest in a number of programs the hotel has organized in 2018 to celebrate its 90th anniversary, including ongoing “Gajoen Art Tours” and “Morning Art Yoga,” available to hotel guests. The hotel, founded in 1928 by former public bath owner Rikizo Hosokawa, assumed its current form after a period of extensive renovations in the late 80s and early 90s. In 2017 the name was changed from Meguro Gajoen to Hotel Gajoen Tokyo. The facility is regarded as being the first all-purpose wedding ceremony venue in Japan, for which it remains popular today. “We’ve been holding wedding ceremonies for many decades now, but there are still many people who aren’t aware of how wonderful this facility is, and we see this as a something we need to address,” the hotel’s General Manager Shinichiro Yoshizawa told press during a preview of the exhibition. 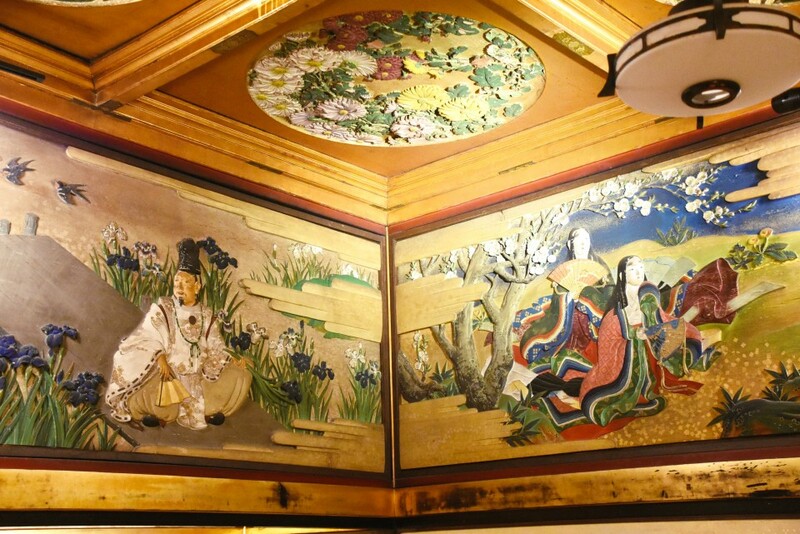 The Hyakudan Kaidan exhibition comes on the back of “A Museum Hotel of Japan Beauty,” an event held in Paris earlier in November, showcasing the hotel and Japanese art to audiences in the French capital. The event was part of Japonismes 2018, a season of Japanese culture being held in Paris and other cities across France to mark 160 years of diplomatic relations between the two countries. Hyakudan Kaidan Exhibition - A Space Featuring Magnificent Japanese Art (百段階段展 ~荘厳なる日本美術の空間へ~) opens tomorrow and runs until Dec. 24 this year.